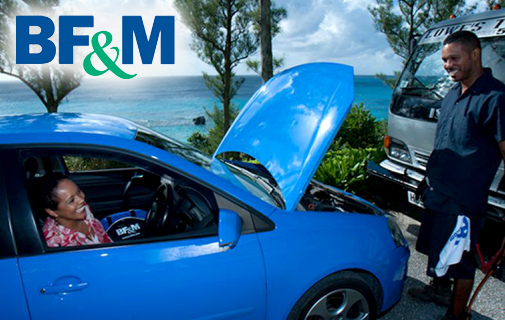 BF&M is proud to be the first local insurance company to offer 24/7 roadside assistance for its motor clients. Our new 24/7 island-wide services include towing services, battery jumps, fuel top-ups, flat tire assistance and lock-out assistance. For more information on BF&M’s new 24/7 Roadside Assistance Service please call 295-5566, email us at bfm@bfm.bm or visit, www.bfm.bm.